Celebrate summer with this fun June design! Stitch it onto a tee shirt or tank top to wear outside! 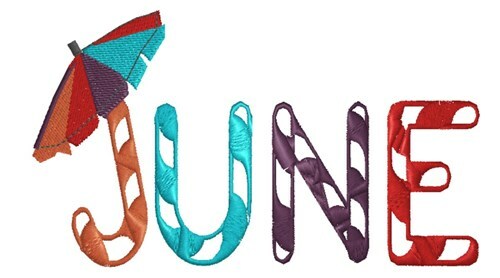 King Graphics is happy to present June Month machine embroidery design which has 7569 stitches and is [128.02 mm x 73.91 mm] large. If you would like to view more embroidery patterns please search on our embroidery designs page.